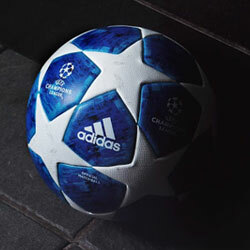 We all love a good adidas boot drop here at FOOTY.COM. 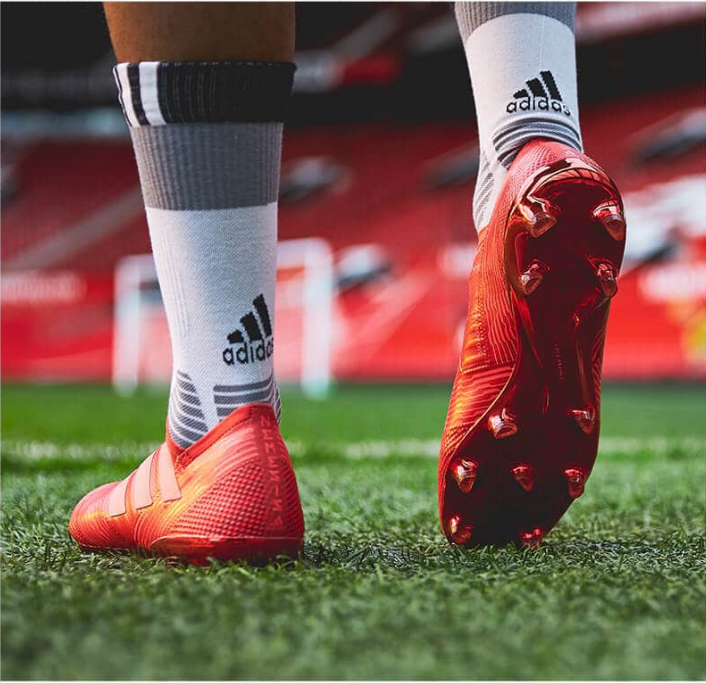 From the hype surrounding the build-up of the release, to the gorgeous designs, to the sheer number of superstar endorsements: adidas certainly know how to stir up a bit of a storm when unveiling their new boots. 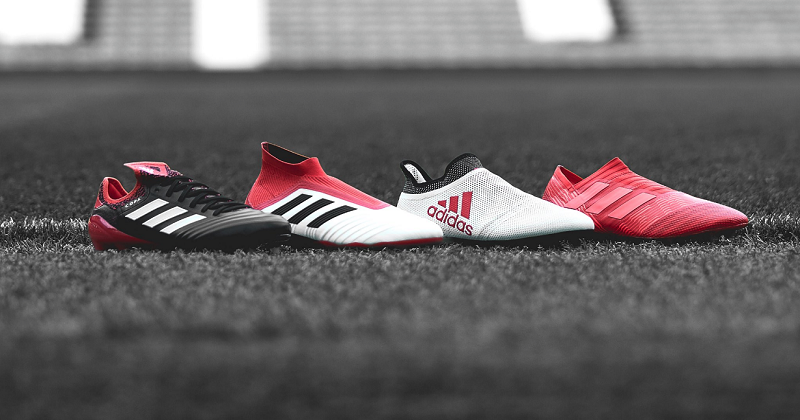 The gorgeous ‘Cold Blooded’ pack is certainly no exception, either, with many of us left drooling at the mouth after seeing the new Copa design earlier this month. The silky black colourway, the striking red details and the overall ‘classic’ aesthetic combined to create a truly classy football boot. With the infamous Three Stripes displayed proudly on the side and an all-round retro look, the ‘Cold Blooded’ Copa signalled adidas’ return to its roots. Now that they’ve finally unveiled the rest of the boot pack, we can see that this is a theme running through the entire collection, as the stunning ‘Cold Blooded’ designs give a vibrant makeover to some modern classics. Make no mistake, the new Nemeziz design is absolutely gorgeous, and we can’t wait to see Lionel Messi showing them off at the Nou Camp. Incorporating a striking, vibrant and downright beautiful red colourway, these bad boys have been specially designed for the most ruthless and unforgiving forwards in the world. The flamboyant red colour is prominent throughout the entire design, with the iconic Three Stripes displayed subtly in a slightly lighter shade. The 🐐 and his new boots. The usual Nemeziz stripes are also included, using slightly different shades of red to create a football boot with some real depth to it- which is no mean feat when you’re using just the one colour. Of course, the new Nemeziz uses some of the best boot technology on the market, which is exactly why players like Messi will be giving these a whirl in the near future. Featuring the iconic 360 Agility Bandage System and Torsionframe outsole, these boots are perfect for allowing unpredictable movement and springing the element of surprise. Cold blooded, indeed. The Predator gets yet another update since its return to the shelves last November, and we’ve got to say that this might be its most flamboyant look yet. 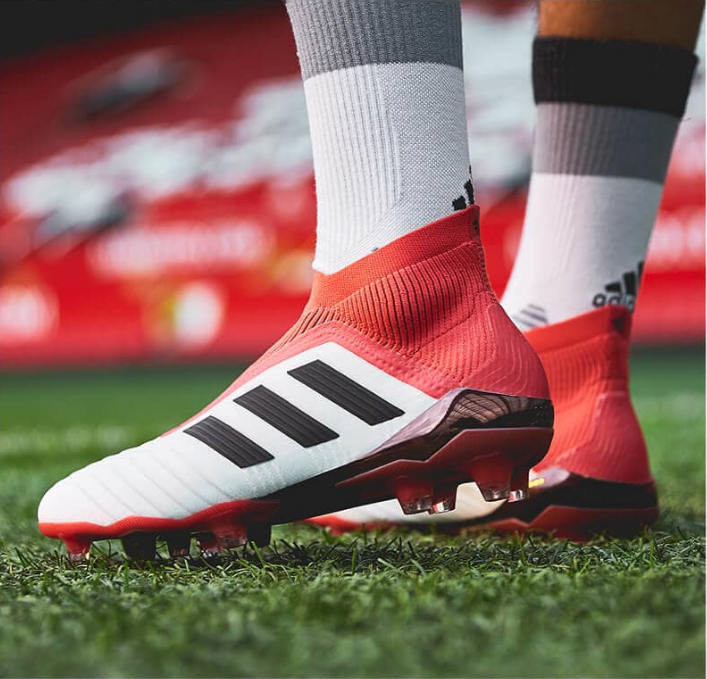 Utilising an absolutely gorgeous white, black and red colourway, these bad boys are the ultimate boots for anyone that likes to dictate the flow of a football match. 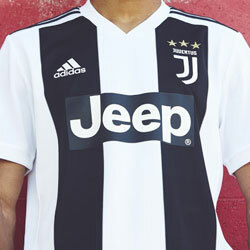 This striking design almost acts as a reverse to the Copa in terms of how it looks, with the white shades being used much more prominently this time around. 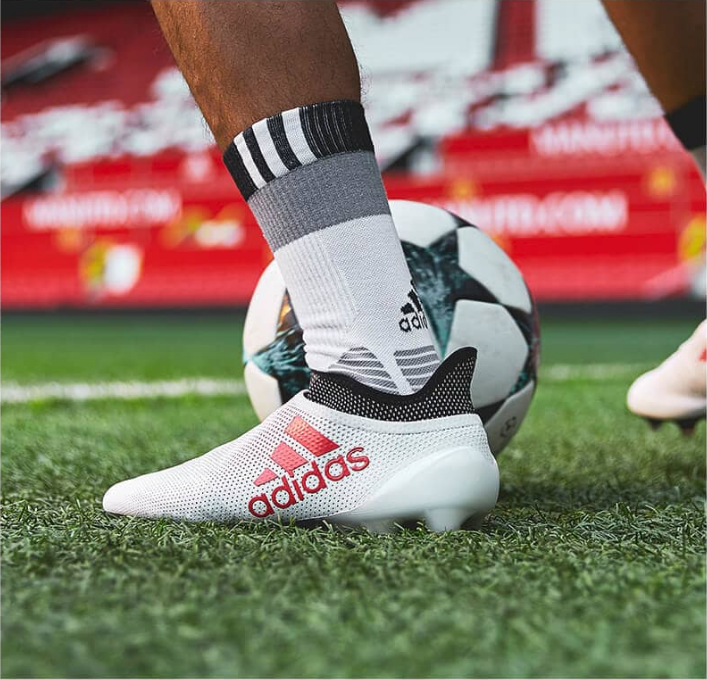 The boots use ribbed Controlskin to allow pinpoint accuracy, while the Primeknit Upper (which looks glorious in red, by the way) offers a flexible and comfortable fit for all players. 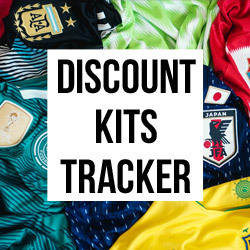 Slotting in seamlessly to both the ‘Cold Blooded’ pack and the iconic collection of Predator boots gone by, we’re huge fans of the new-look at FOOTY.COM. X Speed Demon: the adidas X in all its glory. Image: prodirectsoccer.com The brand-new X follows the white, black and red colourway theme established by the other boots in the collection and is yet another absolutely stunning design. Prominently white and using beautiful red detailing, the famous dotted design of the X stands out vibrantly alongside the prominent adidas logo. 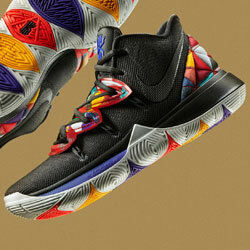 With the use of black around the heel and studs, adidas have created an X design unlike anything we’ve seen before. The boots use the famous Sprintframe outsole to allow players to unleash their explosive pace, while the laceless upper offers a clean strike of the ball at pace. So, players won’t have to worry about bombing down the wing and hitting it into row z; instead, the adidas X will make sure of a decent end product. 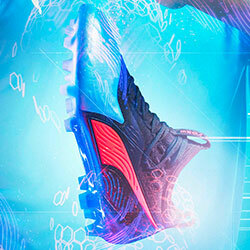 But which of the ‘Cold Blooded’ football boots are your favourite? Make sure to compare prices with FOOTY.COM today and find yourself the best deal! It’s time to make your own cold-blooded savings.